Legalizing cannabis quite suddenly became the focal point for Georgia’s pre-election race. As for the country’s economy, all indicators demonstrate its positive growth. However, when it comes to Georgia’s foreign policy, its tensions with Russia heighten. One month prior to the presidential elections the relations between the candidates are getting tenser and tenser. Salome Zurabishvili supported by Bidzina Ivanishvili called for public debates with her opponents – Grigol Vashadze, a candidate supported by Mikhail Saakashvili, and Davit Bakradze, a European Georgia representative, former Chairman of the Parliament. In the recent weeks Zurabishvili made a faux pas several times. First she said that it was Saakashvili who started military actions in 2008. The society reacted with a rather dramatic negative response following which she clarified that the war was started by Russia 100 years ago (meaning Georgia’s Sovietization) and that Misha is really responsible only for the August phase. Then she declared that Saakashvili bombed his own people in Tskhinvali, which also resulted in strong criticism. Moreover, she finally supported the government’s initiative to cultivate cannabis for export and medical purposes. Georgian Orthodox Church together with the opposition turned against this recent initiative and did not lack epithets when describing Ivanishvili. He was allegedly intending to become a drug lord and encouraging Georgian youth to consume drugs with his very own materialistic interests at heart. Salome Zurabishvili stood up for the government stating that she will lead a special information campaign in order to tell the truth to the people of Georgia. “The queen of cannabis” – this is the nickname Zurabishvili got from one of the bishops. Zurabishvili reacted immediately stating that the Church should not interfere as much in political processes. What is more, she declared that when she is the president, she will review the Concordat – the agreement between the Georgian state and the Orthodox Church of Georgia on its special status. Yet another bishop issued a statement that in case Salome becomes the president he will have no choice but to leave the country as his status will not allow him to do what he needs to do. Salome herself reminded that while she was the minister, Russian military bases ceased their activities on the territory of Georgia: “We made Russia withdraw its troops, while Saakashvili returned them to Abkhazia and the region of Tskhinvali”. This statement did not remain without a return move, this time coming from the opposition, according to whose representatives, Zurabishvili’s role in withdrawing Russian troops was rather modest. The polar camps of Saakashvili and Ivanishvili almost leave no chance to other presidential candidates. So far voters are having a difficult time since there is not much choice for those who dislike both Misha and Bidzina. According to Georgia’s National Bank, the country’s net international investment as of June 30, 2018 made up $23,2 mln (56,9 bn lari), that is its GDP made up 144,9% (in the last four quarters). Compared to the numbers in the last quarter, this indicator went up by $594,6 mln. As for export and import, according to the National Statistics Office of Georgia, copper ore and concentrates are among export leaders within seven months of 2018, and oil products are among import ones . Georgia’s foreign trade turnover in January-August 2018 (not including undeclared trade) made up $8 100,7 bn, which is 22,6% more against the same period last year. Export increased by 27,1% and made up $2,1 bn against the same period last year, while import volume increased by 21% and made up $ 6 bn. Foreign Policy. Secret laboratory in Tbilisi? 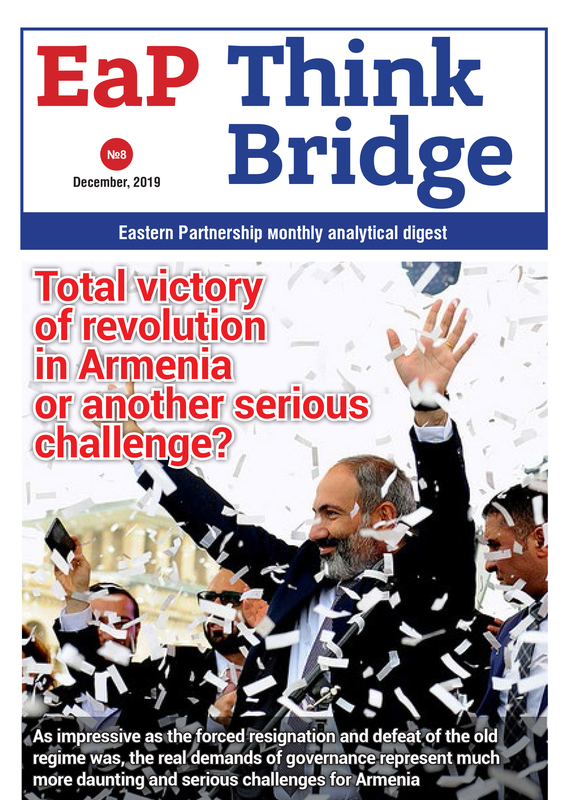 Georgian politicians, experts, civil society representatives and diplomats are persistent in their claims regarding Georgia’s interest in becoming a NATO and the EU member state. They continue to chant the same phrases despite the annoyance of the West and its tiredness of enlargement. The young Georgian prime minister stood out during his US visit with a harsh anti-Russian rhetoric. He accused Russia of occupying Georgian territories during UN General Assembly. And this is against the backdrop of Russian Ministry of Foreign Affairs strongly criticizing Georgia’s Richard Lugar laboratory, named after an American politician and ex-senator, and its alleged military biological experiments. Producing biological weapons, spreading hazardous viruses, using dangerous insects as part of irregular warfare and poisoning people – Russian government and its mass media have been accusing this laboratory in Tbilisi built by Americans of these crimes for many years already. Russia’s MFA representative made an official statement which said that Russia will not allow such American laboratory to function near its borders. The issue was raised by Georgia’s former security minister Igor Giorgadze, persecuted after a terroristic act targeting Eduard Shevardnadze and currently hiding in Russia. In Georgia it was perceived by many people as a response to the developments in England when Russian Special Forces poisoned the Skripals. It is rather interesting that earlier, on April 12, 2018, Russia’s Ministry of Foreign Affairs spokesperson Maria Zakharova mentioned the Lugar laboratory in a rather dangerous context during the Skripal briefing: “It is clear that such centers conduct research not only for the sanitary and epidemiological well-being of the population living in the neighboring countries. Therefore, the very fact of large-scale medical and biological activities and the presence of the Pentagon-financed laboratory at the borders of Russia cause particular concern for us”. The situation is portrayed even in a more dramatic way by Russian mass media that more and more frequently state that Georgia will have become a NATO member state by 2021.